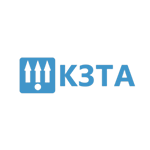 KZTA (“Kaluga Teletype Manufacturing Plant” Corporation) was founded in 1965 and since then has been engaged in high-technology products manufacture. Company product range is diverse, including cash register equipment and lockers, tracking systems, automobile controllers and tachographs. The company cooperates with a number of enterprises in Russia. The chart below shows the changes within the last 30 days in the number units of KZTA devices type are connected to Wialon Data Center.